Congratulations to the OpenStack community for todayâ€™s release of OpenStack Havana! This is the eighth OpenStack release and the community delivered on-time, yet again. The storage backend of the openSUSE Build Service at build.opensuse.org is causing again problems. Server side builds will not be enabled for now. The outage will be for at least today. Access to api.o.o and the website build.opensuse.org are possible, so source modifications and local builds, e.g. via the command line client osc, are working. Just builds on the server will not happen. Our Provo data center will take down a few server starting today at 6pm local time (MDT) which is 10th of May, 0:00 UTC. The downtime is expected to last for three hours. We had some network problems in our NÃ¼rnberg data center this afternoon and now the site software.opensuse.org is not reachable. To download the openSUSE 12.2 Milestone 3, go directly to the download directory. To download openSUSE 12.1, go directly to the 12.1 download directory. For everything else, please wait until the server is fully up again. Update 2012-04-12 19:37 UTC: Everything should be up again. After the openSUSE 2011 Conference, we run a survey to gather feedback so that we can improve for the next conference. The overall feedback was very positive. Thanks a lot to the 134 people that participated in the survey! openSUSE 12.1 was launched on Wednesday and it’s time to look back at the successful launch of a great distribution. 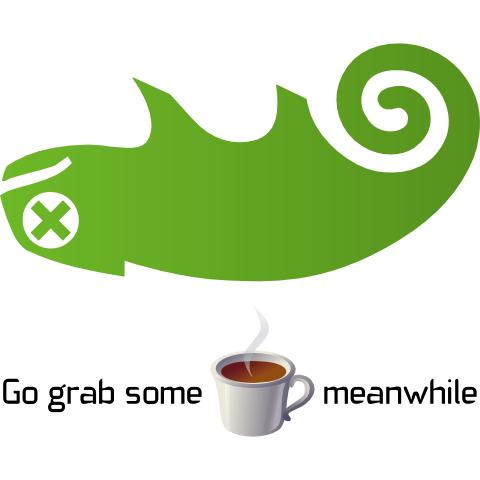 We’ve seen a lot of positive feedback regarding openSUSE 12.1 via press, social networks, blogs etc. The interest in social media is significant with good conversations and new members, our facebook group has grown the last weeks by several hundred new members, the followers of our @openSUSE twitter increase and the recently launchedÂ Google+ page is in the circles of over 3200 people. The Testing Core Team has decided to hold our third Open Bugs Day (OBD) on Sunday August 21 from 0:00 to 23:59 UTC. We are currently facing a hardware problem with the openSUSE Build Service. Update 18:53 UTC: Everything is up and running again. Note the build service scheduler needs to read all files now and create some data structures. It will take a few hours until the build service is building again packages.